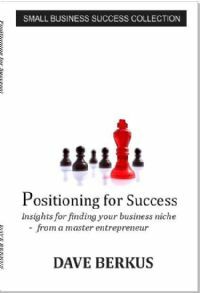 Note: Author-signed copies (of all books except the “Small Business Success Series” in white covers below) in HARD COVER are available at $35.00 each including U.S. postage by contacting Dave directly at dberkus@berkus.com . Group orders of over twelve books: contact Dave for group discounts. What’s so basic about entrepreneurism? How do you become a power entrepreneur? How much of it is in your genes and how much can be learned? 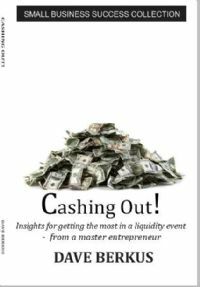 This book is your resource for your life of entrepreneurism, from start to successful exit, supplying important insights into the entire process. 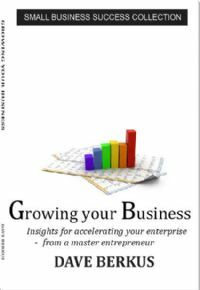 This is the first in a series of BERKONOMICS books for entrepreneurs of all stages.Six chapters, Over 100 insights. More than 50 stories. 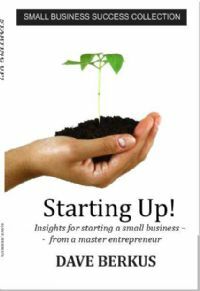 Dave Berkus and twelve guest authors tell you the what and why’s of entrepreneurism, management and selling the company. They tell stories of good and bad outcomes and lessons learned, and give lots of tips from starting up to raising money to management, growth and the run toward a liquidity event. 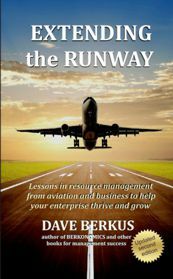 With over fifty years of entrepreneurial, management and corporate board experience, Dave Berkus offers 101 business insights for management and boards of companies of all sizes, served up as concise nuggets of actionable wisdom. Interwoven with over fifty of Dave’s stories describing his experiences, this book is an indispensable guide for CEO’s, management and corporate boards for: sharpening your corporate vision, strategic planning, product and price positioning, building and leveraging your board, finding and nurturing “teacher-customers,” focusing resources for growth, and positioning for a liquidity event. Graduate with a degree in Berkonomics, and use these insights to drive your growth and business success. 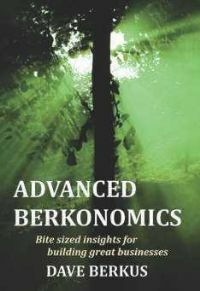 Dave’s final Berkonomics book of insights for business leaders completes the trilogy, adding yet another one hundred valuable insights containing advanced teachings on starting up, valuing the business, creating a business dashboard, methods of measuring success and much more. 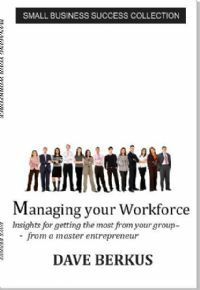 This book delves deeper into insights to help more experienced entrepreneurs and managers make great decisions and implement significant metrics. 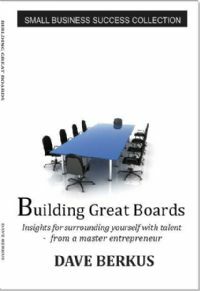 This book provides thoughtful material to help management and investors gain alignment at the board level upon issues of limited resource allocation toward and beyond break-even. 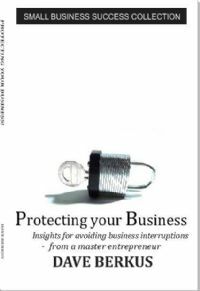 The book provides tips and describes traps for growing companies, and explores insights into managing for preservation of capital and business growth. Dave delves into issues revolving around optimal use of resources such as time, money, relationships, context knowledge and process understanding. He tells real stories of young businesses whose management fell into traps which could have been avoided, and how some extended their runways to make more efficient use of invested funds. The new second edition now available with new material. This is the classic book that started it all, delineating the five resources that make companies succeed, and comparing the resource-rich aviation environment with those of the corporate world. With lots of aviation stories to make the point, this book is a “must read” for entrepreneurs, CxOs, and angel and VC investors. Scrappy… “Having an aggressive and determined spirit” or “inclined to fight” or “fond of arguing, fighting or competing.” Fighting? Competing? Determined spirit? There is something there for entrepreneurs and managers with the focus and fight to win. 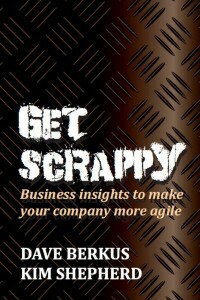 Or to learn how to become more agile, which of course is the reason for this book. Kim suggested the title as she described her company’s culture in a conversation, speaking of her encouragement of involvement, urgency, determination, and willingness to compete. She called her company culture “scrappy” – which led to much more conversation – and to this book. The two of us agree that, in this world of too much competing information and content, the scrappy, agile competitor wins the attention and the allegiance of the customer, cutting through the noise and boundaries of traditional management, marketing, and tactics for growth. How better to stand out above the pack – as a manager, as a sales person – as a company? Get Scrappy! 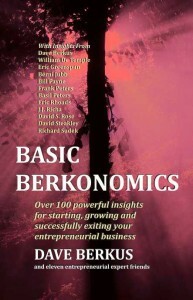 Apply the 101 insights from Dave Berkus’s BERKONOMICS to your business. Organize yourself thinking strategically, and share its principles with your managers and board. 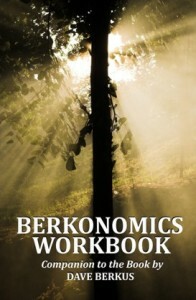 Use the workbook to organize your thoughts and create an action plan based upon the book, BERKONOMICS. Useful as a stand-alone journal, but better bought along with BERKONOMICS. How do you become a better manager? What are the most important things you should do to get the most from your work force? Can you operate a virtual office? What should you consider when hiring from competition? 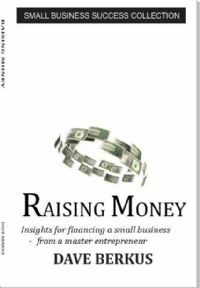 This is one of a series of eight short, easy to read books from the Small Business Success Collection, containing actionable insights from Dave Berkus, nationally recognized successful entrepreneur, angel investor and board member, serving over forty companies. Dave tells stories of successes and failures – of strategies that worked, and those that didn’t. He offers his insights for your business success based upon his many experiences. Reading this book, and others in the series, will make you a better visionary, manager, and leader! 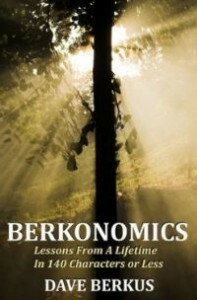 Content within this book was previously published in BASIC BERKONOMICS, BERKONOMICS and ADVANCED BERKONOMICS.